Replaces: FG1007-2, 27-809755A1 Includes head gasket and crankshaft oil seals. 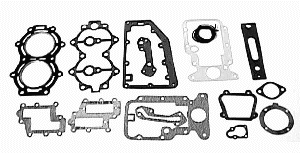 Replaces: FG1025-1, 27-809751A1 Includes head gasket and crankshaft oil seals. Replaces: FG1033, 27-809746A1 Includes head gasket and crankshaft oil seals. Replaces: 27-820751A2 Includes head gasket and crankshaft oil seals.